I think that it's well established that I love the combination of chocolate and coconut. After all, I've made mound granola, samoa pie, and samoa donuts and loved every minute of it. 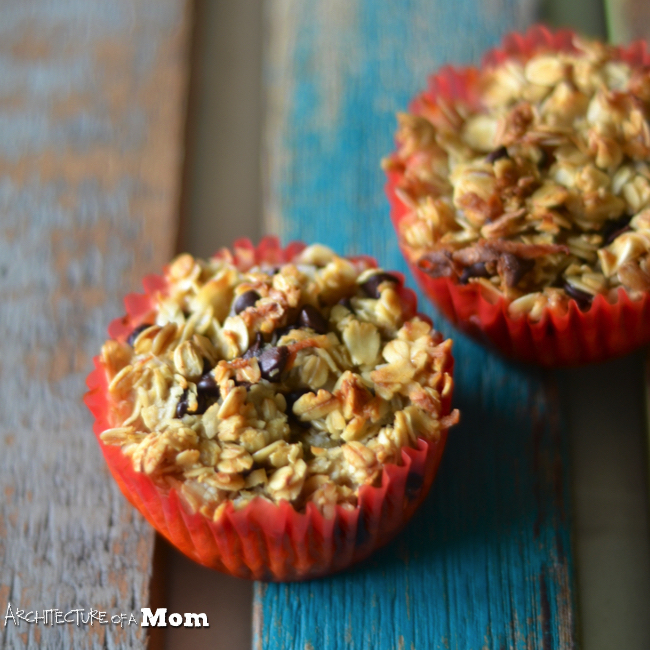 Recently, I've been looking for breakfast recipes that are easy to grab and go and I've stumbled across several examples of making baked oatmeal in a muffin form—perfect for a grab and go recipe. So of course I had to make my own spin on it and make chocolate coconut baked oatmeal muffins—and I have a new favorite breakfast. 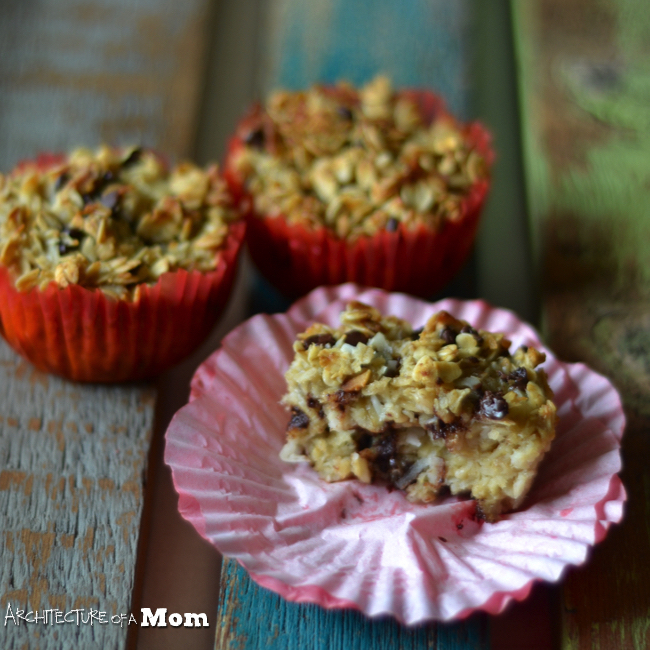 These baked oatmeal muffins will keep you full all morning, and gives you a little chocolate fix to start the day. Preheat oven to 375 F. Place liners in a muffing tin. 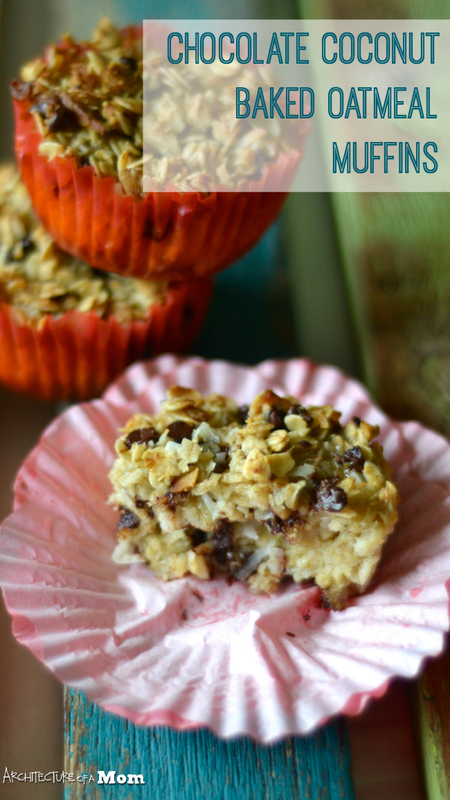 Mix oats, coconut, baking powder, salt, and chocolate chips in a large bowl. In 10 second increments, melt the coconut oil in a small, microwave safe bowl. In a small mixing bowl, mix oil, milk, eggs, and sugar. Add the wet ingredients into the dry ingredients and stir well to combine. Using an ice cream scoop, fill each muffin well. You may need to press down on the mixture a little to get the air pockets out. Bake for 30-35 minutes, or until the muffins are golden brown on the top. Remove to a coolin rack to cool. These muffins are perfect hot or cold, a great tbreakfast for on the run, or you can serve with milk or yogurt for a sit down breakfast.